Catalog, organize, inventory, & list all of your music database. Built-in UPC barcode album collection scanner. Manage CD, vinyl LP records, cassette tapes, and more! ** Also look for our apps on the iPad! 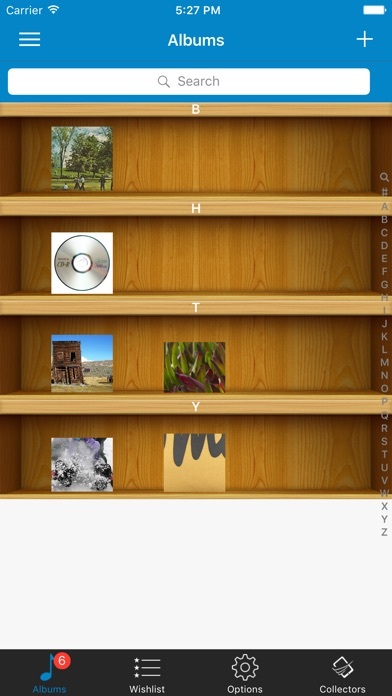 ** Quickly catalog, filter, sort, and manage all of the albums you own. View information, cover, and add personal details. Uses barcode scanning, database search and manual barcode entry. Here are just a handful of the features you get with this app: - Create a free account and store your albums collection list in the cloud online. Access from any iOS device any time! - Syncs directly with https://www.sortitapps.com/ so you can manage your collection online at any computer! - Create a Wishlist of existing and new albums that you'd like to eventually own. - Filter an Sort on any field of information within a album. 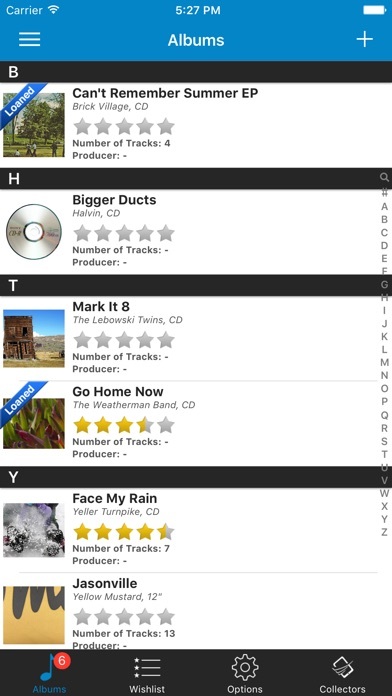 - A coverflow view to see all of your albums when you turn your device sideways. - Sort with the words The and A in the title. - Library or List views. View your collection as you'd see it on a wall. - Add your person details to a album: Loaned To, Purchase Price, Storage Location, etc. - Edit any album details that are incorrect. All of our data is user driven so correct it as need and it will fix it for everyone! - Support for all countries, sizes, speeds, record labels, artist/bands, and more. - High resolution cover art for each album. 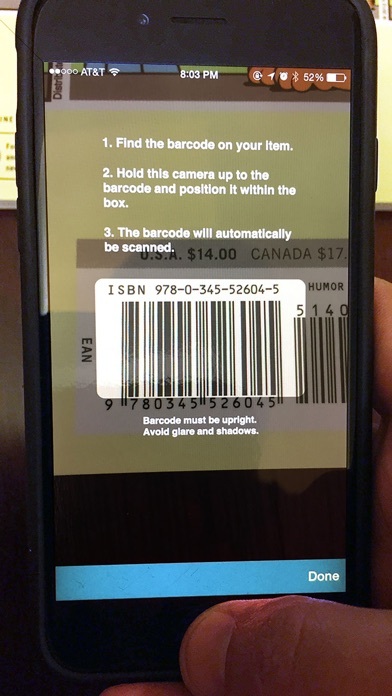 - Full barcode scanning (10 items free, then in-app purchase). 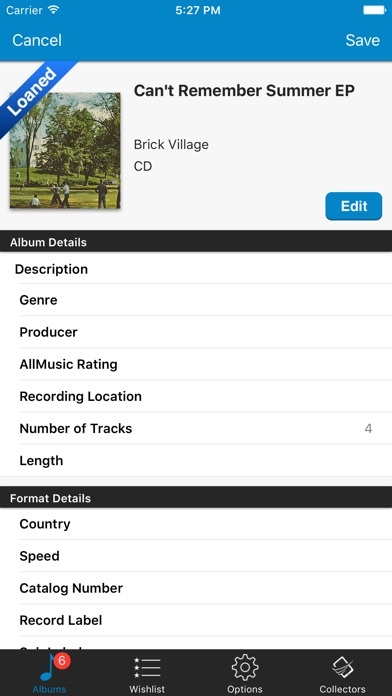 - Bulk Scanning to add your albums to the application even quicker (in-app purchase). - Shake to select a random item in your collection. - Offline viewing of collection, export your collection, extra themes, and more! (in-app purchases) Check out other apps by Sort It! 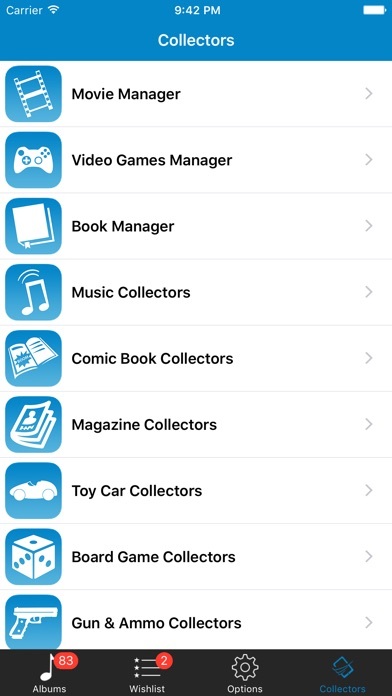 Apps to manage most any collection you own. Better than Collectorz, Discogs, Delicious Library, Gemr, CompleteSet, and others! Love this app for keeping track of my collection wherever I am. Needs more user-created field options. I am using the Music app. No Singer-Songwriter category or way to globally edit formats. Just got this......it doesn't recognize more than 1/2 of the bar codes....upgraded to bulk scan .....& it Can't! Really? Kitaro Keiko Matsui Kanny G????? Really??? I love the display options and sort functions... so easy to use! This is a spectacularly bad app. It starts off filled with junk you have to delete and then it doesn’t even allow you to add tracks when you are manually adding an album.